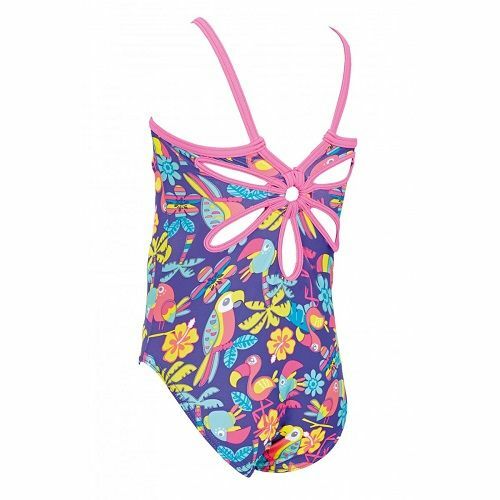 Our Jungle Fun Yaroomba Floral swimsuit for girls features exotic bird prints with flamingoes, toucans and parrots. Ideal for swimming lessons and holidays alike, the straps allow for ease when changing and the unique back design offers function and style. 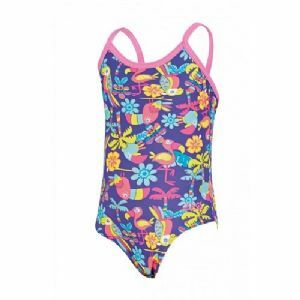 Made from our super soft, quick drying and chlorine resistant Elastomax™ fabric, lasting up to 120 hours of pool swimming.